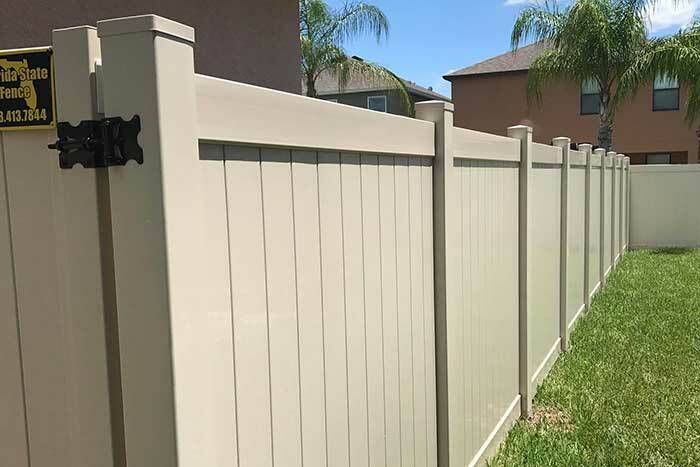 Many Tampa homeowners enjoy the rich, ornamental appearance of wood fencing but choose the same look with vinyl fence materials, so they don’t need to worry about the cost or maintenance of real wood. For commercial clients, vinyl fencing—also called PVC fencing—is a great way to enclose restaurants, nursing homes, hotels, amusement parks, and more! It’s durable and affordable without sacrificing on appearance, so it’s an ideal solution for large spaces where safety and privacy are essential. Our industrial clients also choose vinyl as a form of privacy fence, especially as a way to quickly conceal unsightly waste or storage areas on their property. 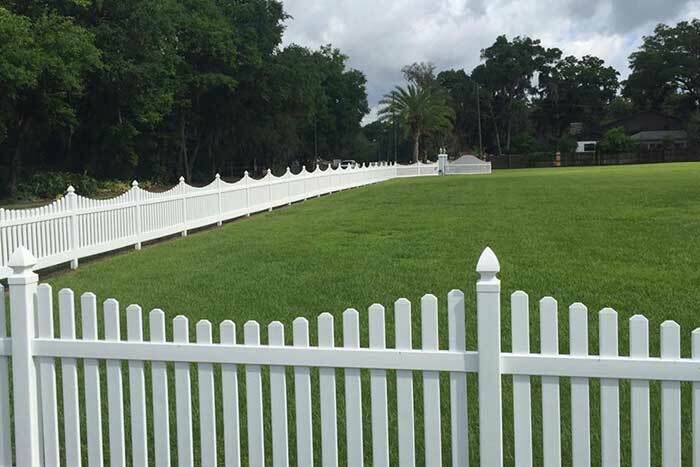 Whether you’re interested in a vinyl fence or PVC fence to enclose your home, business, or industrial facility, the professional team at Florida State Fence can meet your needs with a custom-designed vinyl fence layout in Tampa or throughout the state. 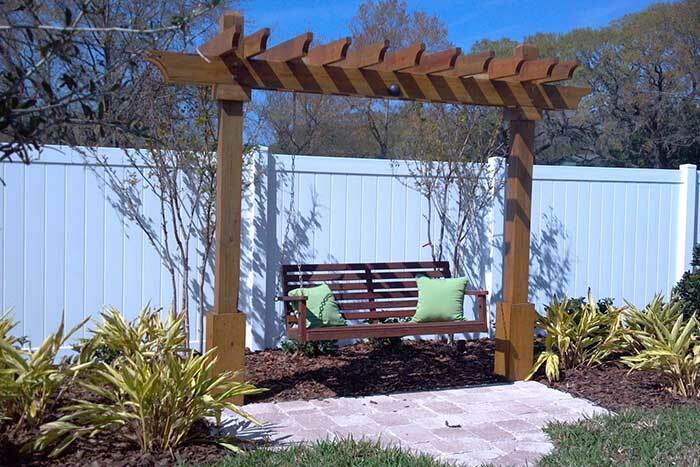 Why Should You Consider a Vinyl Fence? Vinyl fencing was initially derived from the white polyvinyl chloride (PVC) pipes we’re all familiar with. Creating a version for fence material, however, is slightly different. Making vinyl fencing requires a careful process during manufacturing to ensure a quality product. 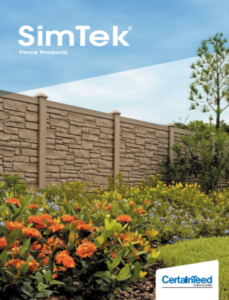 When manufactured properly, a PVC fence is made of essentially the same material as vinyl siding and windows, but it’s stronger than standard pipe material and can withstand full exposure to the outdoor elements year after year. 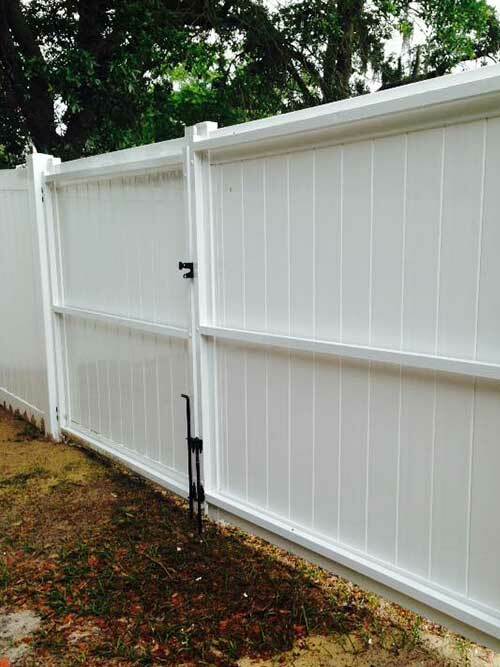 To ensure safety and durability for our customers, at Florida State Fence, we specialize in residential and commercial vinyl fencing and take pride in sourcing high-quality vinyl fencing that’s made in the USA and manufactured locally. 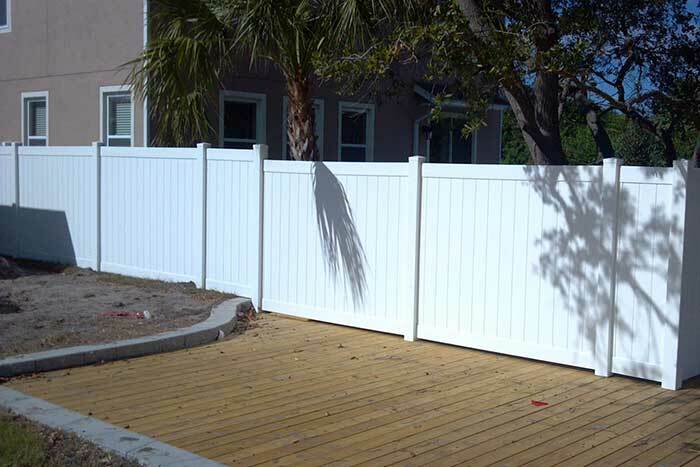 In our hot and humid climate, vinyl fencing installation has become an increasingly popular choice as a privacy fence. The versatility, durability, and low level of maintenance of PVC make it ideal for holding up against harsh weather because it doesn’t fade in the sun or rot away under heavy rainfall. 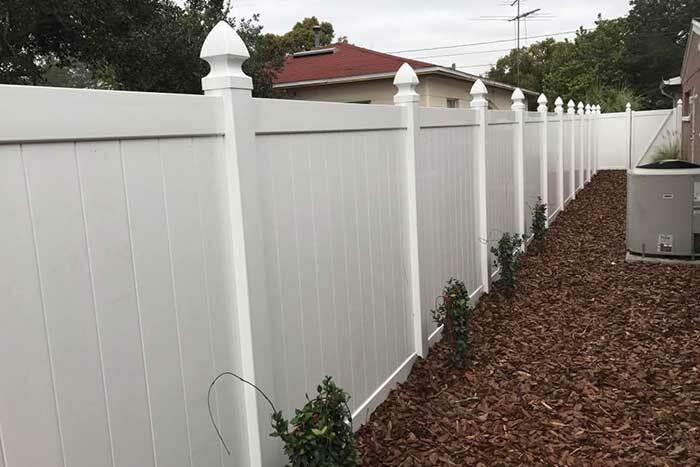 PVC fencing can emulate wood grain and other ornamental materials to provide an attractive, maintenance-free look to homes, businesses, and industrial facilities. 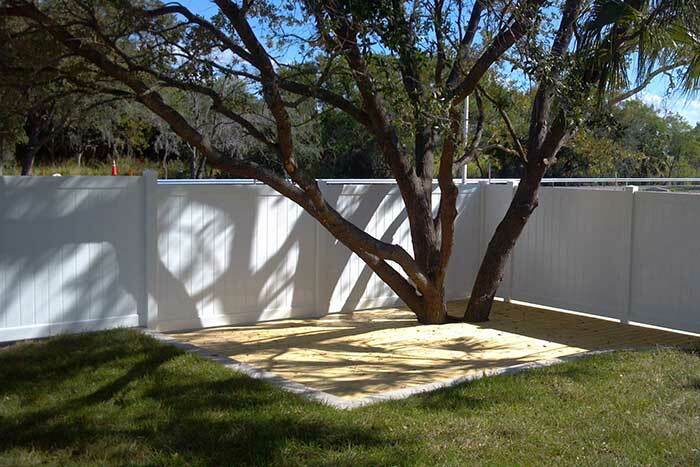 To learn more about the benefits and get a free estimate specifically for your property, please call Florida State Fence today.